Welcome to part 7 of our Snapchat Influencer Q&A series, where you can learn from the masters as we deconstruct the techniques used by Snapchat influencers. Today we are speaking to Janette Speyer, who runs the social media marketing agency, HotIceMedia. Q: Hi Janette, great to meet you. Thanks for taking the time to share you knowledge with us. Could you tell us a bit about yourself and what you do? Janette: I run a boutique Social Marketing/PR agency called HotIceMedia in Los Angeles, CA. We specialize in consumer goods. One of the things we enjoy the most is exploring new digital trends and finding ways to use them to engage our audiences. Q: What do you Snap about most? Janette: Right now, I am experimenting with Snapchat engagement, so I am trying to get to know people on Snapchat, following their stories and sharing mine. I also, share stories about my client’s products. I also use geofilters a lot in my snaps, it adds a fun gamification element to it. Janette: I have been in this industry a long time, and after a while, I realize that we need to keep up with new trends. About a year ago, I was on a tweet chat with the Snapchat team and they invited us to start snapping. That is when I realized that I better get with it! 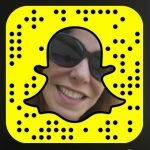 I started following Snapchat influencers to learn what they were doing. I then was faced with the task of convincing my clients to try it out. Janette: My profile is growing slowly, so I’ll keep you posted. For now, I am having a good time testing and trying out new sales and promotion methods to see what sticks. 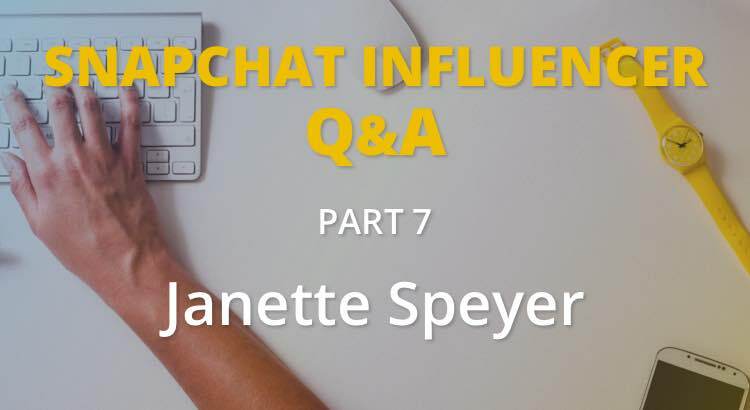 Janette: I think Snapchat is a crucial marketing tool. There are so many benefits I can’t mention them all here. For one, it’s the perfect social selling tool. It relies on recommendations from friends and it is a very personal form of communication. Because snaps don’t last too long people are anxious to watch and you are forced to remember. It also has the benefit of geofilters that are ideal for local businesses. Our business specializes in influencer marketing and Snapchat works wonders for this. You can enlist influencers to help “sell” your products. We have been running test for some of our clients and we are pleased with the results. Right now we are running a small contest to see what happens. Janette: Follow and engage with as many people as you can and watch their snaps. Try and develop a unique personality. In other words, be you! Snappers like genuine people. Janette: I follow all my influencers and also some of my favorites include @Ginicanbreathe™, @MannBilly, @ReallySocial, @KrisGillentine and @jedrecord. Thank you Janette for taking the time to share your knowledge and opinions. To connect with Janette, scan the snapcode at the top of this article. If you enjoyed this interview, please check out more in the series.